Price: Ages 18+. $24 Orchestra/Balcony, $29 Preferred. VIP Drink Package includes 2 Free Drinks, additional $10. 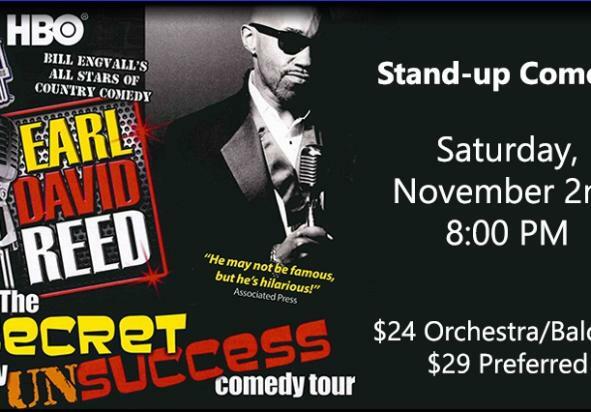 Earl David Reed’s genius is the way he interacts with the crowd and knowing just who to pick on to get the biggest laugh, and the audience loves it! The Las Vegas Review-Journal called him “...an urban Don Rickles!” And Don Rickles himself commented “This guy works the room like a Las Vegas showgirl...funny without being offensive.” His TV credits include The Tonight Show with Jay Leno, HBO, and Showtime. Earl can also be seen on DVD as one of Bill Engvall’s All-Stars of Country Comedy comedians with Larry the Cable Guy and Jeff Foxworthy. Ages 18+. 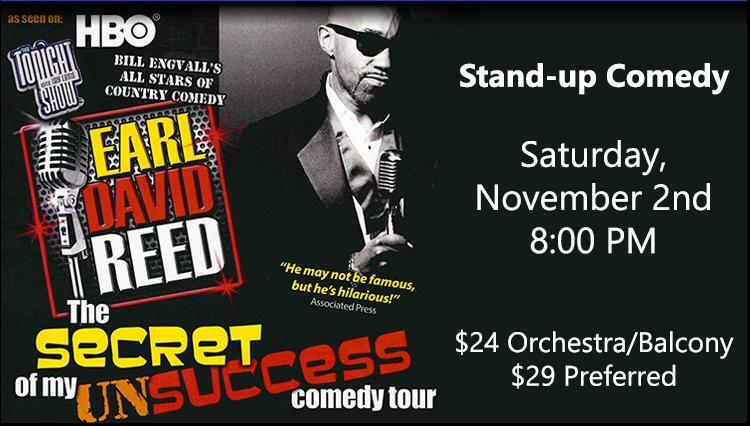 $24 Orchestra/Balcony, $29 Preferred. VIP Drink Package includes 2 Free Drinks, additional $10.